The Agile Jacket is a mid-weight down jacket that works as a warm mid-layer or a standalone jacket in dry, cold conditions. The fabric’s softness allows insulation in the jacket to have more loft. 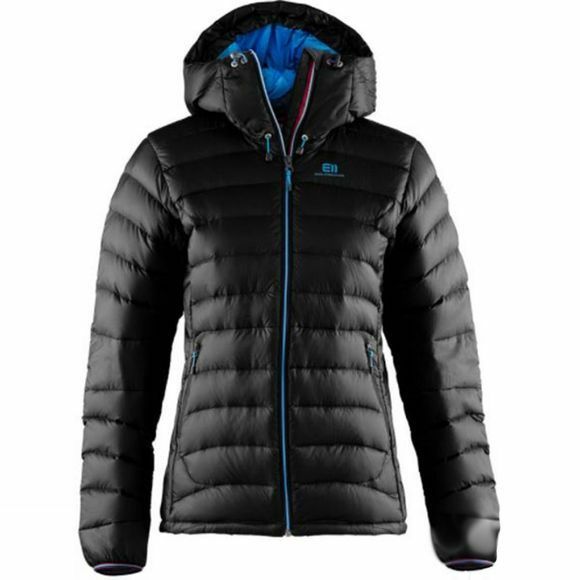 It is padded with 95/5 white goose down with a 750 cuin fill power and synthetic fibres at strategic places so that you will keep warm and comfortable in cold conditions. Strategic placement of Primaloft Eco at critical areas such as shoulders and elbows. Lycra finish at sleeves to minimize bulk around sleeve cuffs.